These are the main Google updates that seem to have affected most of the websites that I deal with, with the most notorious being Penguin. But you should also note that for the Panda algorithm update we are now into our actual 25th update. And there has been many many more updates under different names that people will not have heard about but were targeting specific industries, scams and spams and dodgy techniques. "Over-optimization penalty", Google finally rolled out the "Webspam Update", which was soon after dubbed "Penguin." Penguin adjusted a number of spam factors, including keyword stuffing, and impacted an estimated 3.1% of English queries. Link farming, either being part of link farming or getting links from link farming websites and spam sites. But this also targeted websites that were getting thousands of links in from other countries, with mainly Eastern European links being targeted. I guess this was the easier place to start as there was quite often a difference in language on the pages where the links were coming from. The exact nature of the changes were unclear, but some evidence suggested that Penguin 2.0 was more finely targeted to page level. Now this update targeted again links and spam links but this update was not only able to target language differences but also location differences. So a lot of websites that were over linked from Asia and America which were using the English language were now affected by this update. Not a lot of people noticed much change with this update but this was supposed to target duplication and over optimisation. Keep reading to learn more about how to recover and how to fix Google's Panda and Penguin updates. If you website has been affected by the Google Penguin Update you need to keep reading..............! The Penguin Algorithm update has by far affected the most websites out of all of the updates that Google has made in the past few years. It 's first appearance was in April 2012 and again more recently in May 2013 when Google released the Penguin 2..0 Update. Google's aim with these search engine updates was to improve it's search engine and ultimately ensure it's search engine users reach the best quality, most useful results and find exactly what they are searching. Many of these updates are to stop websites that are spam, low quality, cheating and do not contain what a end user would ideally want. Now I get a lot of calls from people who are quite frankly upset, bemused and also don't really understand what has happened to their websites with these latest rounds of algorithm updates by Google, especially the Penguin update. And generally they don't like it when I tell them, that they or their SEO's were involved in Black Hat SEO Techniques and that basically Google has thrown them out of their search engine for cheating or being involve in some things that are no longer determined legitimate. Some of my clients were not aware of what their SEO's were doing and believed there sites were clean or black hat SEO free. Now some people have said they were not involved in any of this and that they were penalized accidentally but with all the websites I have looked into, so far, this is not the case. I firmly believe SEOs should be held responsible for this but how can you penalise SEO's for exploiting loopholes in a system. It's similar to banks, people or major companies using tax loopholes! With the majority of the websites I have looked at they quite often have thousands of inbound links for their keywords from other countries, or from websites that are/were involved in link farming and link exchange programmes and or link spamming and with this last penguin update it would appear links from INDIA are now being the most affected country post Penguin update as far as origin of the links and traffic. Now here is an example of the email you or your SEO may receive from Google post Penguin Panda Update. As a result of your site having pure spam, Google has applied a manual spam action to http://joebloggs.co.uk/. There may be other actions on your site or parts of your site. Update your site so that it meets Google's Webmaster Guidelines. Once you've made these changes, submit a reconsideration request. How do you get your website back to where it was in Google before the Penguin Update hit? If you received the email above (note you must be using Google Webmaster) check out the google webmaster guidelines, double check and see if you have done anything untoward in Google's eyes. But it is very loosely worded! Make the necessary changes and submit a frank and detailed report to Google telling them what you or your SEO did and what you have changed to make amends or to put right, in order to receive a reconsideration request. If you don't they will ignore your request. This apparently takes several weeks! If your website is link farming or promoting link exchange or has too many links either outbound or inbound then you need to remove these, before submitting your reconsideration request and basically correct anything that may be against Google's quality guidelines. Although well done if you think this is clear! Now the easiest way to remove these links to your website, (rather than contacting each website that has linked to your site and asking them to politely remove said links) is to use Google's Disavow Tool but this also appears to take a while, So the next best way is by renaming all of your pages so that the spam won't filter through to these pages. But this will not remove the links to your home web page, unless your links are going through to .com/index or .com/home or any other variation, so again just change the title of your home page. BUT if they are going through to plain .com or .co.uk you have a problem. So the approach I am trying at the moment is to move the existing websites that has been affected by the penguin / panda updates to a new URL/domain name. This will effectively get rid of all the inbound spam/farming links straight away and give you a fresh start.. But hey you have used a new domain name and have effectively started from scratch..............! You can put in a temporary redirect from your old domain name to your new one!! The penalties will not be passed from website to website. You could also try to redirect or copy the existing website and move to a new URL/domain name and then place one link on each page within the affected website to your new website (in order to hold onto existing customers). But you will need to substantially change your wording, header tags etc in either your existing or your new website to avoid duplication or plagiarism. Once I have done this will I get back to where I was in Google? In a word "NO", not even close. Because what you are left with now is a website with no links, inbound at least! But what you are also left with is a website that is no optimized. And this is where you need to hire a new SEO, an SEO that is familiar in the latest and most importantly white hat optimisation techniques. Remember, what Google wants is high quality websites. When I say Quality it wants a clean, clear website structure that contains all the elements that will benefit Google and the end user. 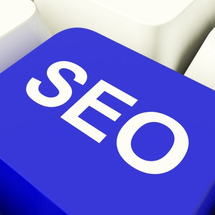 See my Top SEO Tips for achieving this. Please Feel Free to Comment below on your experiences on how to recover from Google's Penguin Update.